Recorded live at the Monterey Club, New Haven, CT in November, 1962. Reissued on CD which also includes Mr. Wonderful as Milestone #47072. 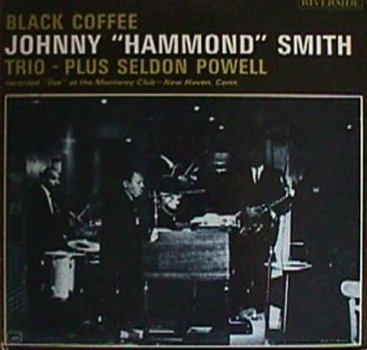 As you listen to this album by Johnny “Hammond” Smith, you will very probably be struck, as I was, by its remarkably relaxed, really pleasant overall mood. It’s noticeable even when the tempo goes way up, and it’s especially apparent when the group gets into an easy-cooking blues groove, as they do right at the start on “Black Coffee” (which was a Peggy Lee hit a few years back). At any tempo, you can have no doubt that everyone was feeling at ease, comfortable and happy about the whole thing. I hardly have to tell you that this is not true of all recordings. Many of the performances you hear are the final results of painful hours of takes and retakes, sweat and tears. And a good many of them sound that way. Recording in a club can be more relaxing, but it offers a good deal less control of the situation than a studio date; and the knowledge that each note is being set down for posterity is enough to freeze some musicians. But Johnny’s group has been doing much of its playing at an easygoing club in New Haven that’s like home to them. (For that matter, the organist’s actual home these days sis no more than a couple of blocks away from the club.) 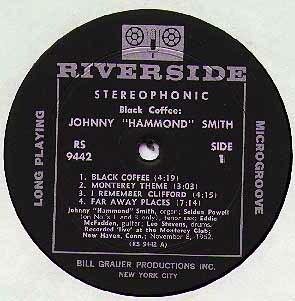 It was A&R man Orrin Keepnews’s suggestion that Smith’s first album for Riverside be an on-the-job date, and it was the leader’s feeling that this was the only place to do it. The audience at the Monterey knows the group well, accepts them, loves them… so that while recording they were actually able to stop and begin a number over again when they didn’t like the way it was going, or to repeat a tune immediately when they felt they had almost got it the first time. And the crowd, digging the idea of being part of a recording session, ate it up, just as they enjoyed hearing each set played back over the loudspeakers of the portable equipment. So the group was able to have all the benefits of recording in front of a live audience, without any of its usual drawbacks. The Smith trio is a tight-knit unit, with a good deal of experience together. The decision to add a horn for most numbers on this date obviously did not disrupt this unity; for not only is Seldon Powell a fine man to have around at any time, but there is also a longstanding mutual respect and affection between Johnny and the tenorman. It was Johnny’s idea to call Powell for the date, and Seldon responded with enthusiasm. Two selections here are originals by the leader. 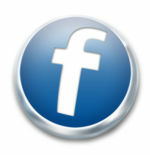 “Monterey Theme” is an upbeat, nicely-defined piece, happily underlined by the full sound of the organ. It is, of course, named for the club. As for who or what “Rufus Toofus” is named for, I wouldn’t know – but what a wild title! I’d like to think of it as the name of a special shaggy dog that someone in the group knows. But be that as it may, on this number Powell forevermore proves, to my satisfaction, just how well he can take care of business. A live album that captures the energy of Johnny’s early career. This is one of his best releases, backed by heavyweights Seldon Powell, Houston Person, and Eddie McFadden.